The article on 22.09.18 described the ‘Capital growth’ in credit unions (vicobas) in Igombe and Chole. All the women involved have done incredibly well in managing and growing their funds. It is with great pleasure that Busega Scotland has paid the final instalment of its grant to the Chole 2 group. The £100 brings the total capital donated to £340. This is essential to get the vicoba going, as generating capital themselves is beyond the final means of the women, who live in a very rural area. 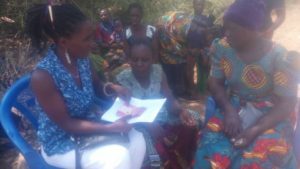 The Chole women attended a meeting with Julieth Godwin, our Assistant Project Leader, who checked the group’s records and made the payment. This model of financial support puts the onus on the women to manage their money, building-in self-determination and promoting independence from the outset. Julieth passed on thanks from Chole 2 to Busega Scotland and our supporters, who have made the project possible. When we receive such thanks, we are always quick to say that it is the women themselves who have grasped the opportunities their vicoba has given them and so many congratulations are in order. 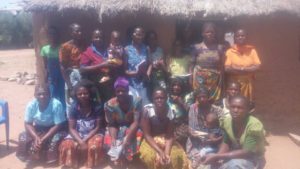 It is great to see how there can be such progress in the lives of Tanzanian families, by us working together and in providing such simple and straightforward support.